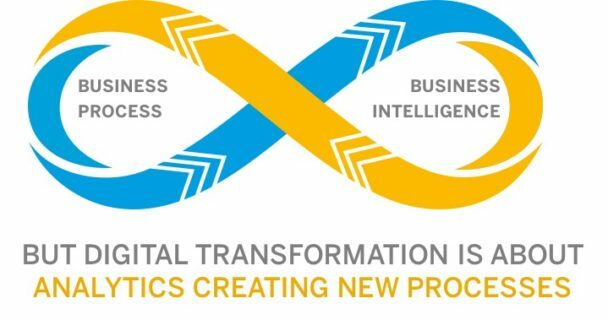 I’ll be presenting a session on Analytics Innovation, Disruption, and Transformation at the BI2017 conference in Orlando next week. This post is an introduction to some of the themes I’ll be covering. Analytics has been around for a long time, and it’s undergone some major changes. But one thing never seems to change: It’s still the hottest technology space in the industry. For example, this is Gartner’s list of the top strategic trends for 2017 – and you can see that “intelligence” is at the top of the list, including machine learning, intelligent apps, and intelligent things. BI & Analytics is yet again the top priority on Gartner’s long-running annual CIO survey, as it has been for ten out of the last twelve years. Note that this is actually a very unusual situation. Normally, a new technology becomes a priority, companies invest money in it, and then it fades back down the list now that the new “problem” has been solved. Consider mobile, for example: When smartphones and tablets came out, it suddenly became a high priority to support them, but now that the technology is in place, it has faded back down the list. So why has analytics stayed so high for so long? Why haven’t we “fixed it” yet? One reason analytics remains a hot topic is that the amount and variety of data available has skyrocketed, constantly creating new analytic challenges. But even more importantly, analytics has become an essential part of digital transformation. For the last few decades, we’ve typically thought of business intelligence as a byproduct of our operational processes. In other words, we manufacture products, ship them around the world, and sell them to customers. Each of these processes generates a lot of data, and we use that data to keep track of operations and create more optimized processes in the future. This remains as true and important today as it’s ever been in the past. But now there’s another dimension coming into play. Organizations are increasingly realizing that digital transformation doesn’t just require new processes – it requires a new approach to implementing processes. They have to be more agile, more intelligent, and more responsive to change. These new processes flip the traditional equation on its head. New digital processes are created on the fly by analytics. The typical customer journey is a great example. In the old days, purchasing a product was a fairly linear process, and companies characterized as a “sales funnel.” But now it’s more like a “write your own adventure” book – where there are many different possible interaction paths. At each point in the process, the customer gets to choose the next chapter. Analytics is used to help guide the customer towards the “right” choice at each point, indicating what other products they may be interested in, or offering discounts to encourage immediate purchase. In other words, every “customer process” is unique, with analytics doing all the work, creating thousands or millions of personalized “processes” based on the needs of each individual. Because these new processes are analytics-powered rather than hard-coded, they can be much more agile and responsive to change – indeed, new machine learning approaches mean that they can even update and optimize themselves. Effectively creating and managing these kinds of flexible, on-the-fly processes is THE big new opportunity in digital business. But it also means that analytics has to have a more process-oriented approach, not just treated as a series of one-off decisions — and this is an area where traditional BI leaders have an advantage over the “islands of innovation” approach of tools that focus only on data discovery and visualization. 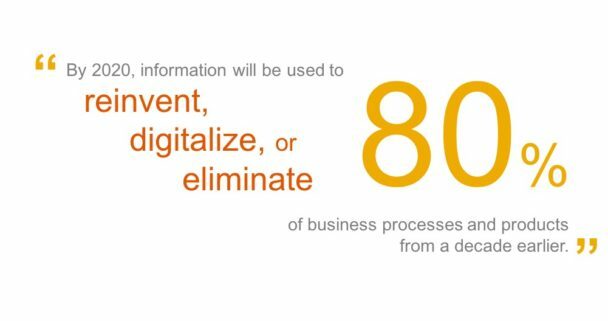 Gartner believes that information and analytics will be used to reinvent, digitalize, or eliminate 80% of today’s business processes. Analytics is no longer just an afterthought to the “real business” – it’s the heart of the new business models of the future. Analytics also enables “live businesses.” A live business is one that anticipates, simulates, and innovates new business opportunities, and that looks to create the future rather than just reporting on the past. 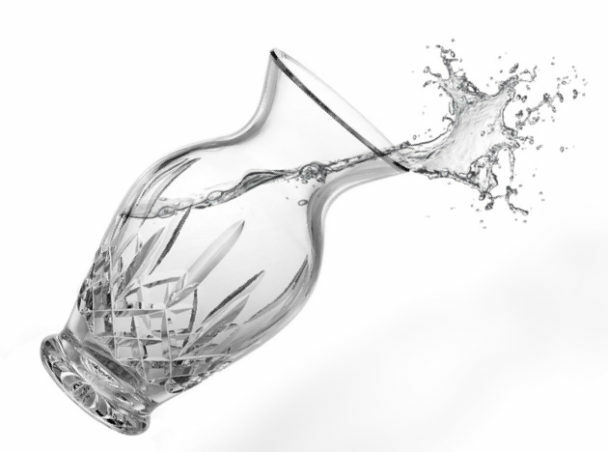 Here’s the analogy I like to use: Imagine this expensive crystal vase has been knocked over and is plummeting to the floor. That’s the equivalent of something going wrong in your business – an overdue production, a late delivery, or an unhappy customer. Traditionally, businesses would have been stuck with analyzing the puddle and shards of glass on the floor after the vase had broken, in order to figure out what went wrong, who to blame, and how to avoid it next time. But what if you could actually catch the vase before it hit the ground—in other words, if you knew about the business problem before you lost money or ruined customer satisfaction? That’s live business. 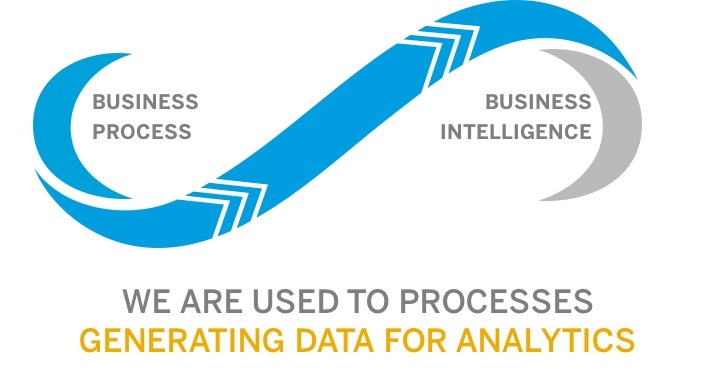 To achieve this, you need a seamless, real-time link between operations and analytics – and this plays to the strengths of new in-memory operational+analytics solutions such as the SAP HANA platform. But while analytics is a hot topic, it doesn’t mean that it’s without problems. 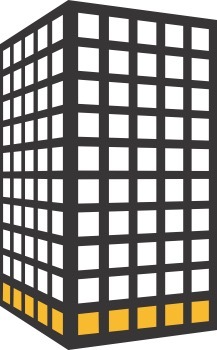 Various reports indicate that the reported success rate of BI deployments has stalled. For example, Howard Dresner found that BI initiatives described as successful dropped from 41% to 35% in 2015. It’s worth noting that it’s not completely clear what BI “success” really means — it’s largely a subjective measure because few organizations actually define what success would look like before they start on a projects. But I believe user satisfaction is falling because business expectations are rising even faster than BI technology improvements. This has real consequences. In particular, some organizations continue to implement only “old-style,” centralized business intelligence. This is increasingly is out of phase with the needs of today’s more analytics-savvy business users. Gartner calls these people “BI-nosaurs” and warns that the comet that might wipe them out is coming . Here are some of the typical complaints of today’s analytics users. First, users find analytics too slow, with almost a third having to wait days or weeks for a BI request. People would like to access information themselves without needing IT, but a third said that they find their enterprise BI too complex, too complicated, and too cumbersome to use. Finally, almost half the data that business people want to access is now from outside the organization, and is therefore unlikely to be in the corporate system in the first place. For all these reasons, the penetration rate of analytics remains low in organizations, with many reporting that fewer than 10% of employees using BI – although again, it’s not always clear what “using” means – often the data is used indirectly; for example, cut-and-pasted into a spreadsheet or presentation. But there’s obviously a huge opportunity to get more data to more people, both inside and outside the organization. From the point of view of business users, traditional analytics organizations look like the taxi companies that have been displaced by more flexible car-sharing applications like Uber and Lyft. Many people found taxis too expensive and annoyingly hard to find when they wanted one – but there was no alternative, so they put up with it. Now there are lots of lightweight analytics products available, and business departments increasingly have their own IT budget to spend. The result it that the older ways of doing things are being disrupted, and just like the taxi companies, traditional analytics organizations have to adapt to the new tools and new ways of working in order to compete effectively. So how should analytics organizations react to these trends? I’ll be following up with future posts on areas such as supporting “modern BI,” the new Big Data architectures, the adoption of predictive and machine learning, and changes to how companies are organizing for BI. Don’t miss more posts— subscribe by email to this blog, or follow me on Twitter!